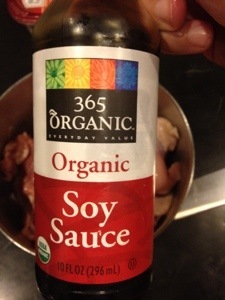 Full disclosure: I completely stole this recipe from my wife, who, as many of you know, is of Asian decent. For years she has made this ‘dish’ and I thought that since it was so good, it must have been extremely complicated or it required some Asian blood to prepare properly (how’s that for perpetuating a stereotype?). One day, I overheard her sharing the recipe to a friend of ours and I could not believe how easy it was. I had been duped all this time (I ‘discover’ at least several times a week that I have been duped about something or other–Lance Armstrong was a doper? No! [clasp hands to face in classic disbelief maneuver]). This certainly remains my wife’s ‘dish’ but I have made it my own several times now–my boys have said each time that my version is better (but I have threatened bodily harm if they did not choose mine, so take that for what it’s worth). Simply put, this is one of my wife’s better recipes and it is far from complicated (that is why I was able to co-opt it rather quickly and easily). She actually has two recipes for this I found out last night: one for the grill and the other for the oven. This is the one for the grill (I have no clue what she does to adapt it for the oven–why on earth would you bake something that you could grill?). It really could not be much easier. 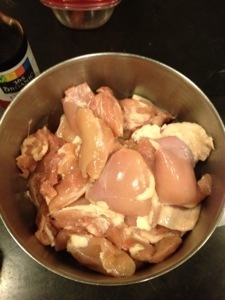 Trim the chicken thighs of the excess fat (but not too much) and throw them into a bowl. 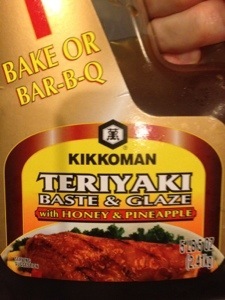 Pour on some of the Kikkoman Teriyaki Glaze and a bit of soy sauce (I usually use a 2 or 3 to one ratio, but there really is no rule). Add some salt and pepper (since I salt and pepper just about everything). Toss well to ensure a consistent coating. That’s it. Ready for the grill! My wife will sometimes add some minced garlic, but that is a bit too complicated for me. No need to drench them, just make sure they are coated. 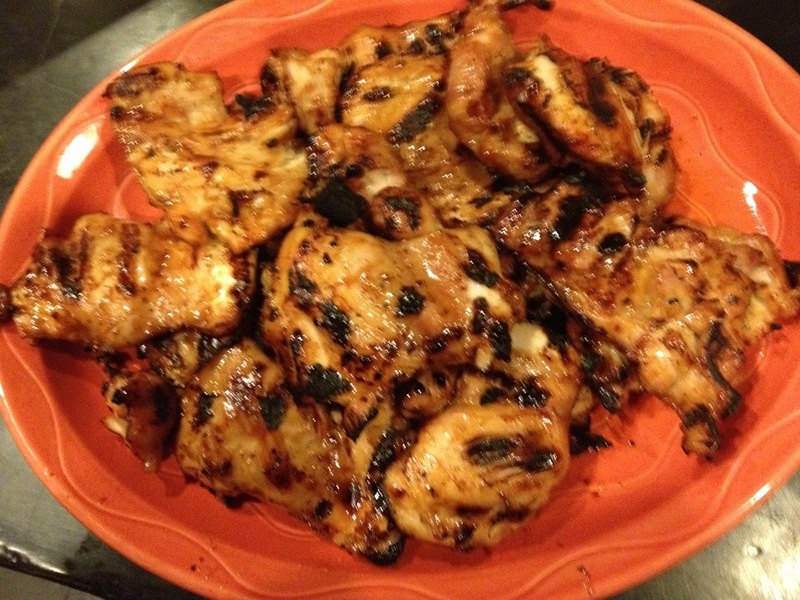 If your grill is hot enough, it should only take about 2-3 minutes a side to cook these bad boys. 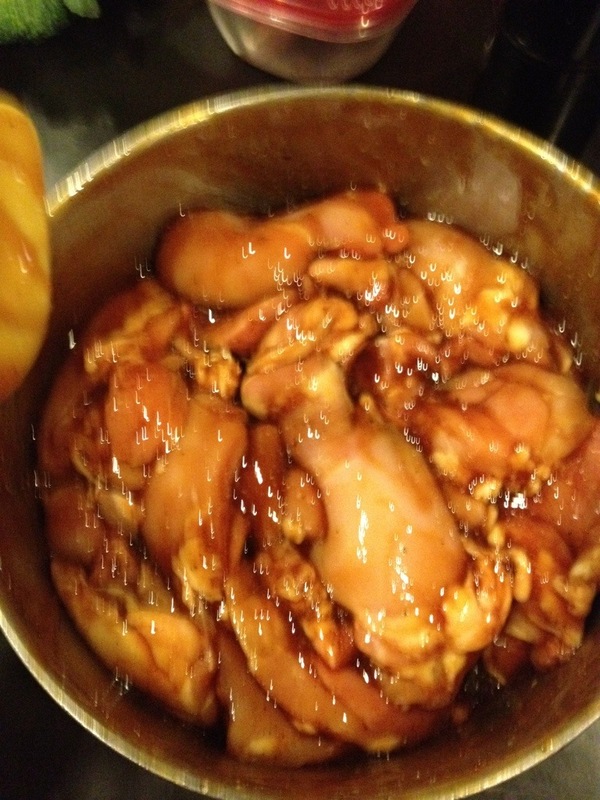 It is really hard to overcook a chicken thigh. We usually serve rice (insert Asian comment here) and some sort of vegetable (tonight it was broccoli that I steamed for a minute then sautéed for a couple of minutes with garlic, salt, and pepper). The rice is easy since we have a rice cooker (we actually have two–insert additional Asian comment here)–if you eat rice even on a semi-regular basis, you MUST get a rice cooker–it will change your life. 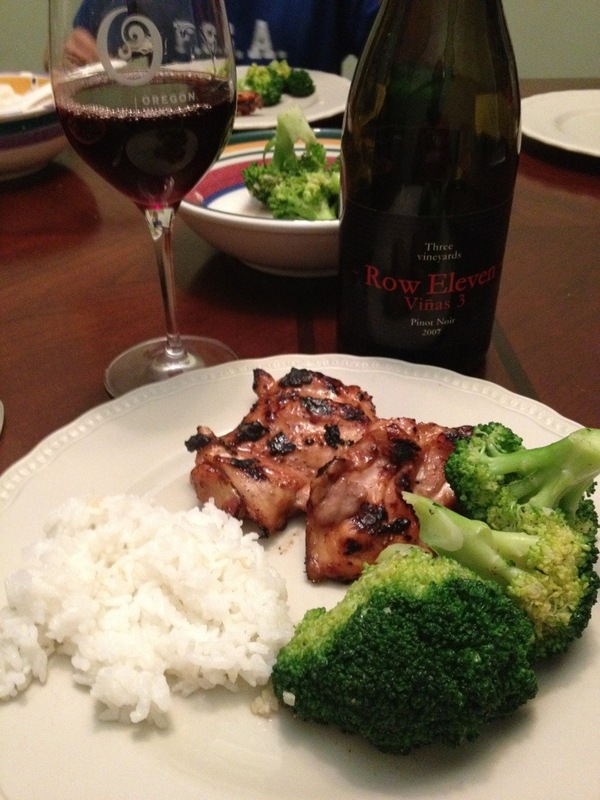 Perhaps the best aspect of this meal is that you can pair it with just about anything. My favorites, of course would be Pinot Noir or Champagne, but we have also done Chardonnay and all of the Alsatian varieties (Pinot Blanc, Pinot Gris, Riesling, and Gewurztraminer). Just found out my mother-in-law has a microwave rice cooker! Awesome…. Never heard of a microwave rice cooker, neat! I have one but not as fancy as yours. The chicken looks scrumptious. I love the flavoring you used. 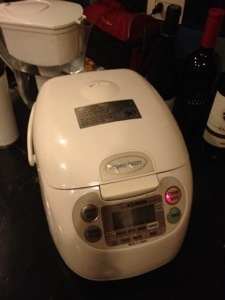 Yeah, the microwave rice cooker is cool, but it seems like cheating–but my mother-in-law is Korean, so I guess it is OK! Rice has always been my achillles heel! 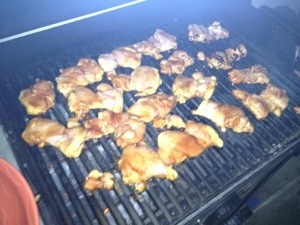 Love Teriyaki Chicken! Nice easy recipe!